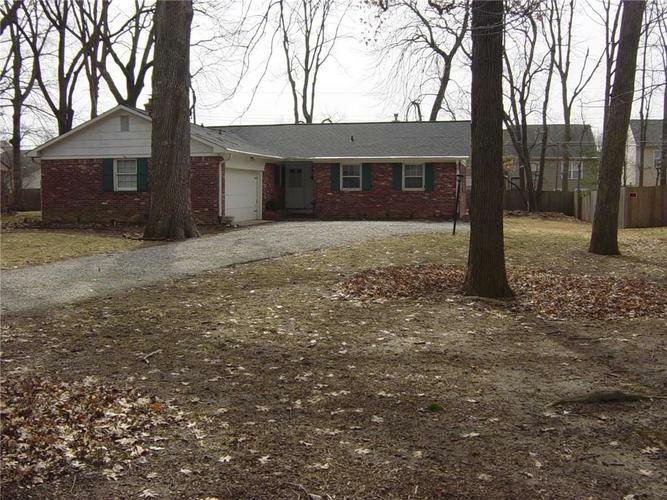 Spacious 3 bedroom, 2 bath ranch in mature neighborhood convenient to Marian University, north side, interstate, downtown and Speedway. All appliances including washer/dryer stay. Directions:From North Kessler Blvd. go west on W. 42nd Street, first left onto Melbourne Road. Then travel west 2 1/2 blocks to 3329 on your left. Listing provided courtesy of McNulty Real Estate Services,.